I will nurture your brand with as much passion and care as you do…sometimes even more! 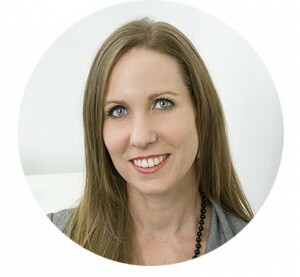 With over fifteen years experience in creative services, with specialist focus on packaging and branding, I have a unique ability to connect with your brand and your core business goals, like an old friend, and pave new ways for you to connect with your followers to grow your business and revenue. My knowledge of marketing strategy and brand presence are a solid foundation to my passion for finding the right solution for my clients – I guarantee a quality experience of service and outcome every time. I love to work with business owners who love their businesses! “Michaela Hill Design is a first rate branding advisor. From the initial scoping discussion, to the final delivery, every step, choice and iteration was managed in a creative, professional, complete and friendly way. Michaela herself is lovely, with a can do demeanour and impeccably presented style. She managed my indecisiveness, worked with me when I chopped and changed, and created an extremely high quality final product to match my every demand. “Working with Michaela, she has gone above and beyond our expectations! Working with her has been great! Opened my eyes to the entire design experience. From concept to print and production management you will be up to date and involved at every stage. I offer a full range of marketing tools for the health of your brand from initial strategy/direction discussions to graphics, print management, production management, digital design, social media marketing, copywriting, photography and videography – whatever you need I have it covered! ©2016- Michaela Hill Design. All rights reserved.